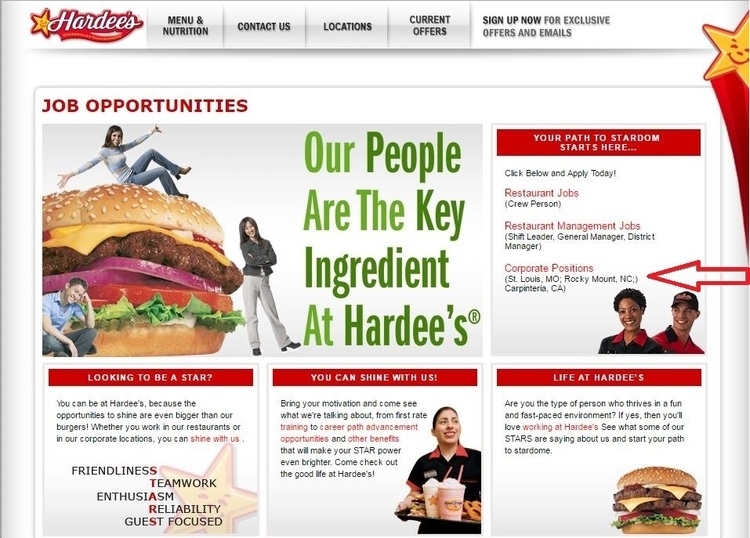 First, please visit hardees.com/jobs to enter the Hardee's careers official webpage. There are three major job categories: restaurant jobs, restaurant management jobs and corporate positions. Here we will take choosing “Corporate Positions” as an example. 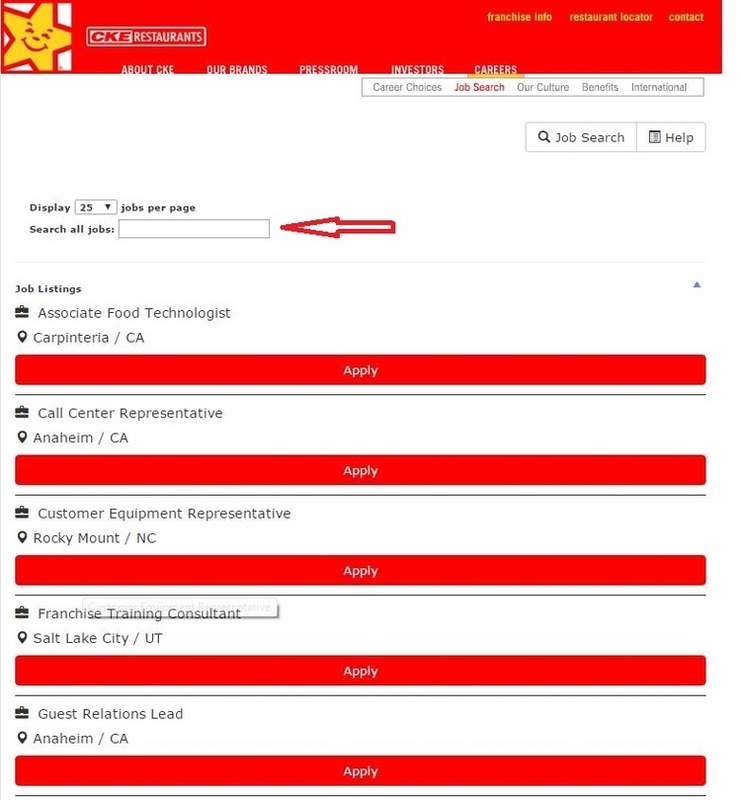 Search for a specific position by entering keywords, or search the job listings below for your job. Make a decision and “Apply”. 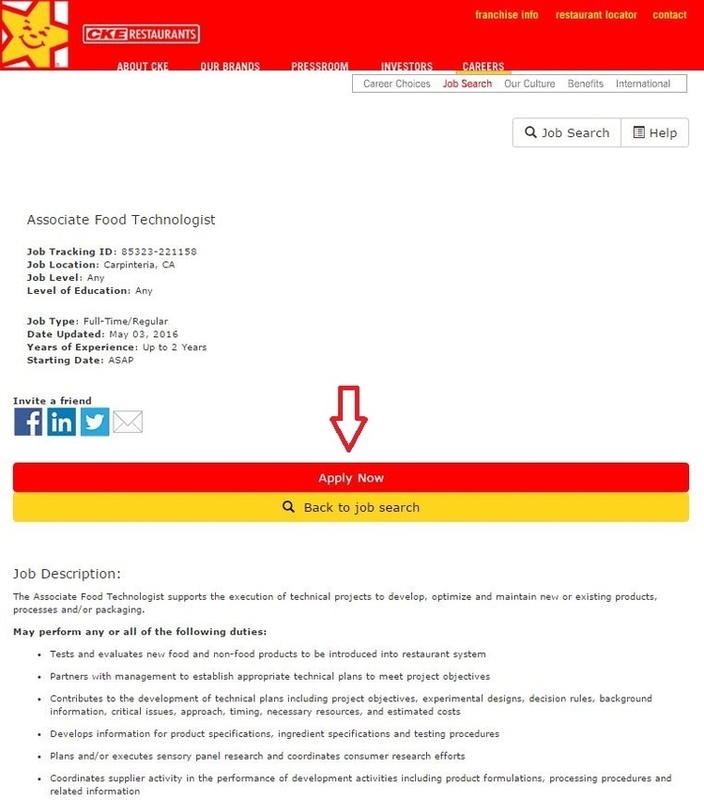 The detailed job description will be given once you clicked "Apply" button. You need to read it carefully to check the duties and qualifications. 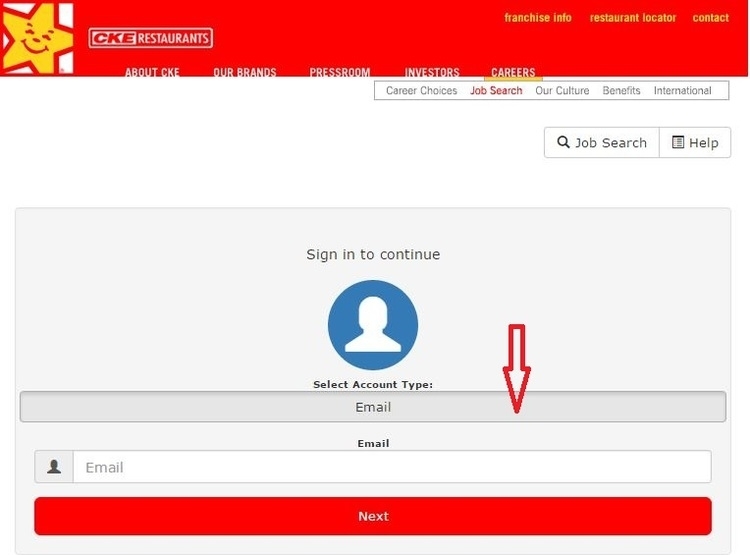 If you think you are qualified for this job, you can click "Apply Now" to enter the next step. If this position is not proper for you, just choose to go back to job search. Enter your email and the password to sign in. For new users, you need to create a personal account first and then sign in and continue. 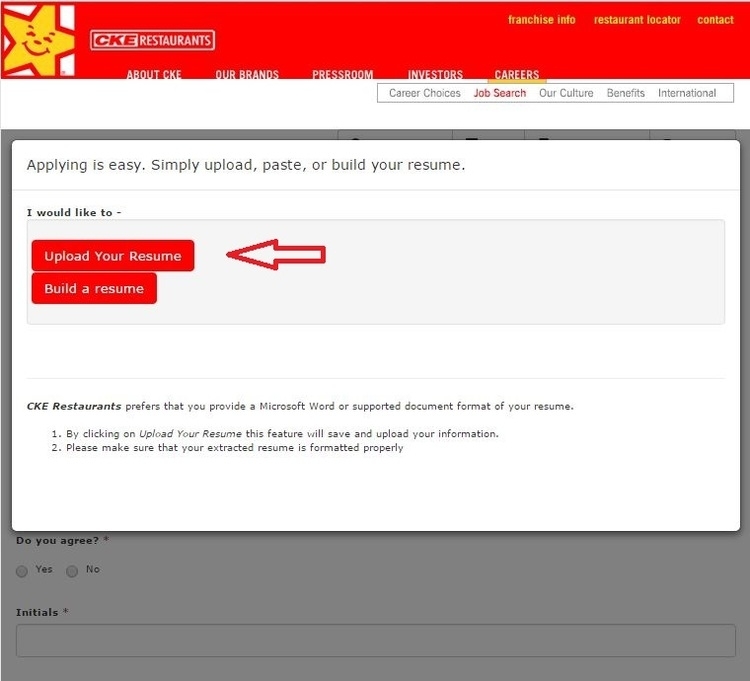 There will be several options in the process, the first one is to upload your resume. Pasting your existing resume is also feasible. 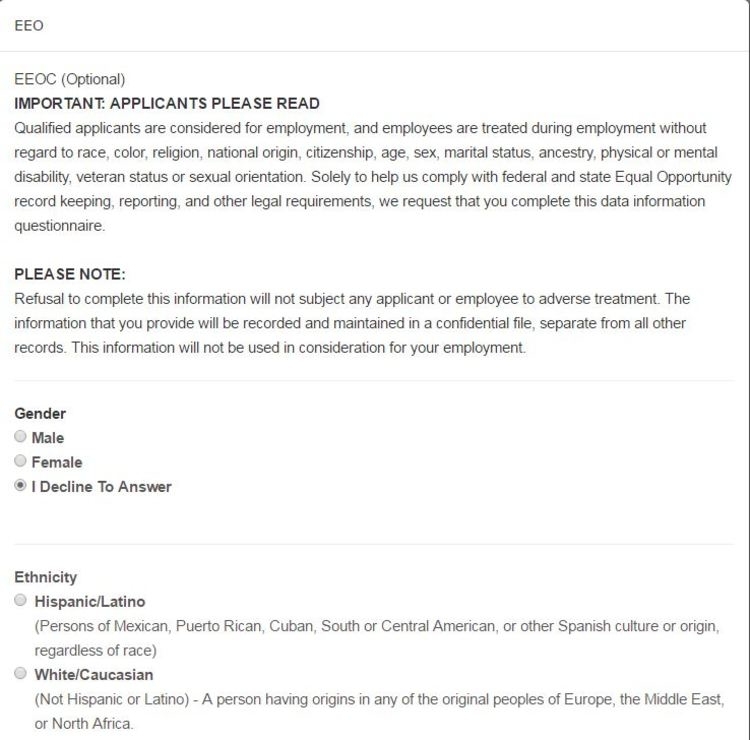 The third option is to build an online resume. 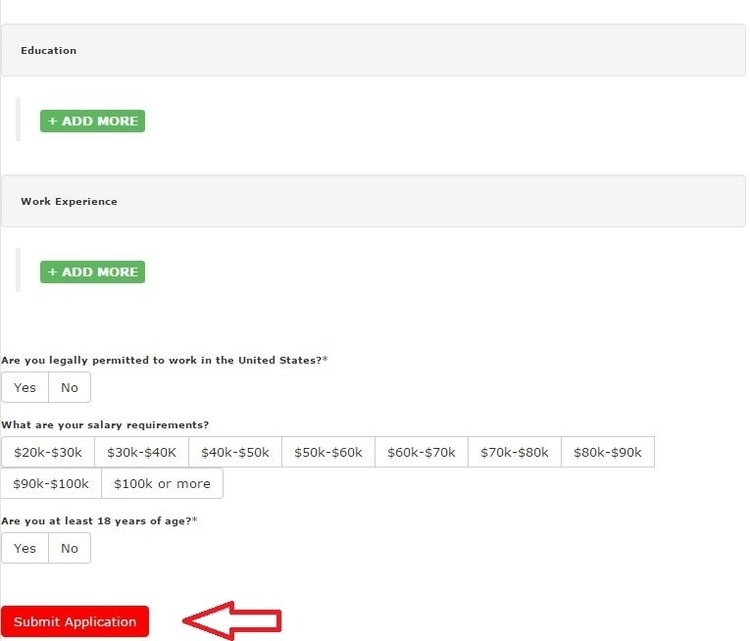 After filling in all required fields, scroll to the button and “Submit Application”. Questions about gender, ethnicity, veteran, disability will be asked. Answer yes or no to the questions and then scroll to the button of the page and submit. Upon submission, your online job application process is finished. 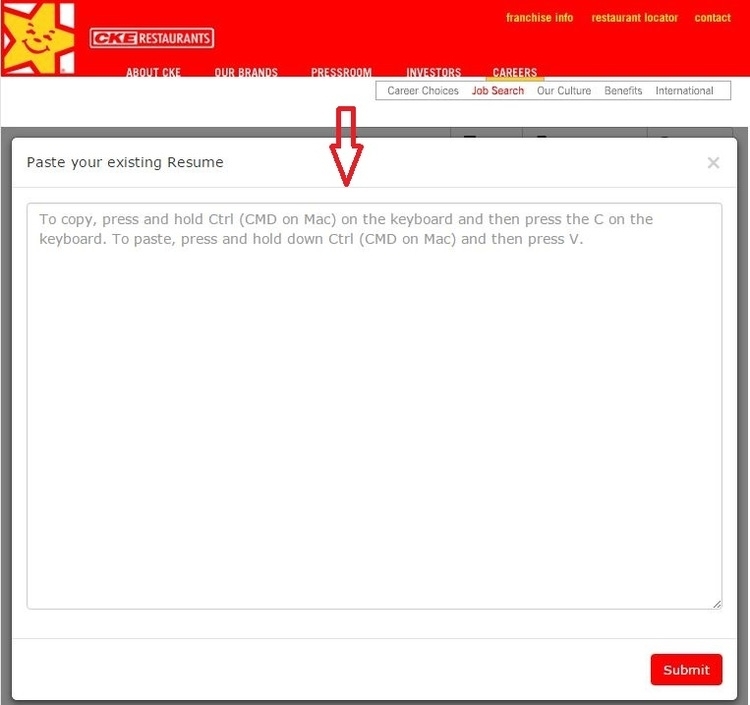 You can find other jobs and apply again when you have finished the application of the current one if you like. 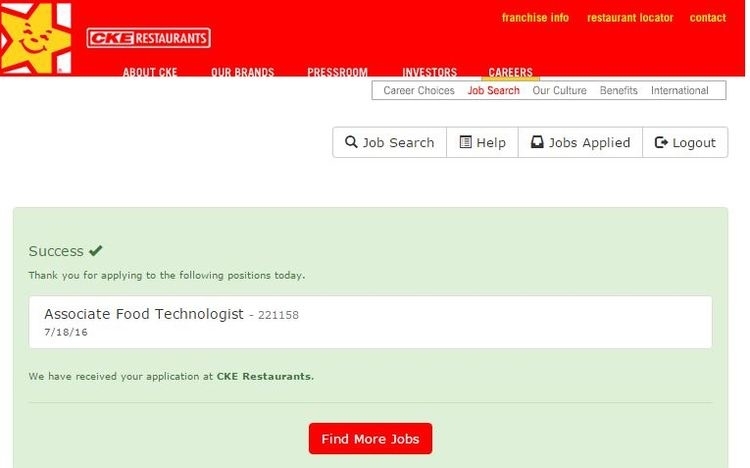 Click hardees.com/jobs to apply for Hardee's jobs online.